Y’all ready for Record Store Day Saturday, April 21? A full list of goodies will be dropped in independent record stores across the country that day. And it’s a long one. Topping the list of notable releases are Johnny Cash’s At Folsom Prison: 50th Anniversary Elegacy Edition, three new limited-edition David Bowie albums (Welcome To The Blackout (Live London 1978), Let’s Dance (Demo), and rare Berlin-era U.S. promo album Bowie Now), and three new colored pressings of Taylor Swift’s albums Fearless, 1989, and Taylor Swift. Other albums sure to fly off the brick and mortar shelves by noon (or earlier) include Car Seat Headrest’s Twin Fantasy (Mirror To Mirror), Sleigh Bells’ Kid Kruschev, and two Courtney Barnett albums (a “City Looks Pretty”/”Sunday Roast” 12-inch and an LP picture disk version of The Double EP: A Sea of Split Peas). Classic rock artists also span the variety of new releases; Bruce Springsteen, The Grateful Dead, Led Zeppelin, Blue Oyster Cult, Def Leppard, Motörhead, Fleetwood Mac, The Doors, The Who, and Frank Zappa all have albums lined up to drop on April 21. Thursday, April 19, Peaks and Pints host a special SudsPop night inviting Dogfish Head Craft Brewed Ales to our little lodge for a Pre-Record Store Day Party. 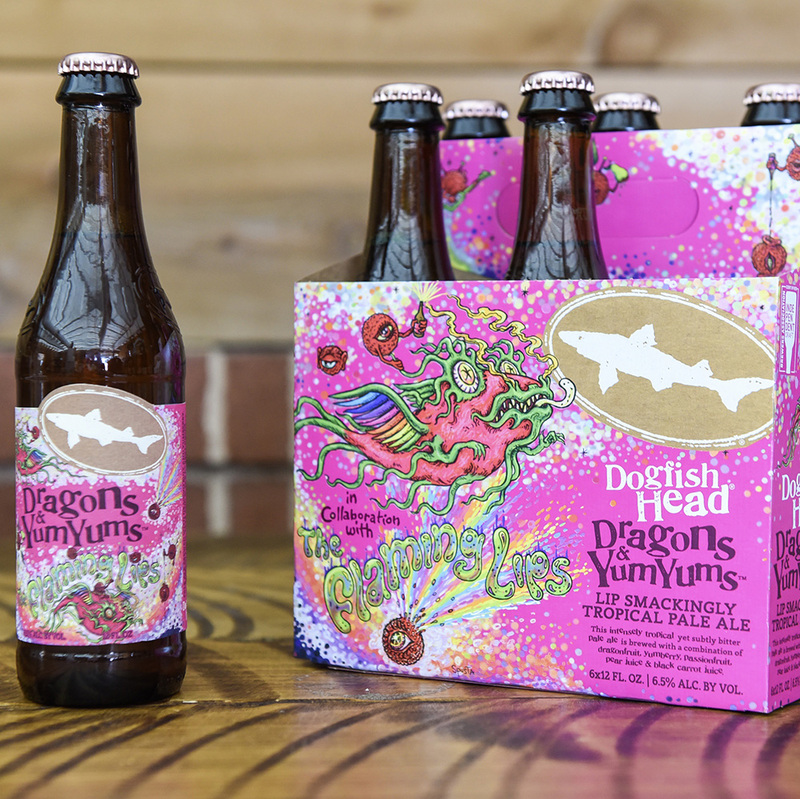 Every year, the Delaware brewery creates the official beer of Record Store Day; this year it’s Dragons & YumYums, an intensely tropical — yet subtlety bitter — pale ale brewed with a combination of dragonfruit, yumberry, passionfruit, pear juice and black carrot juice. 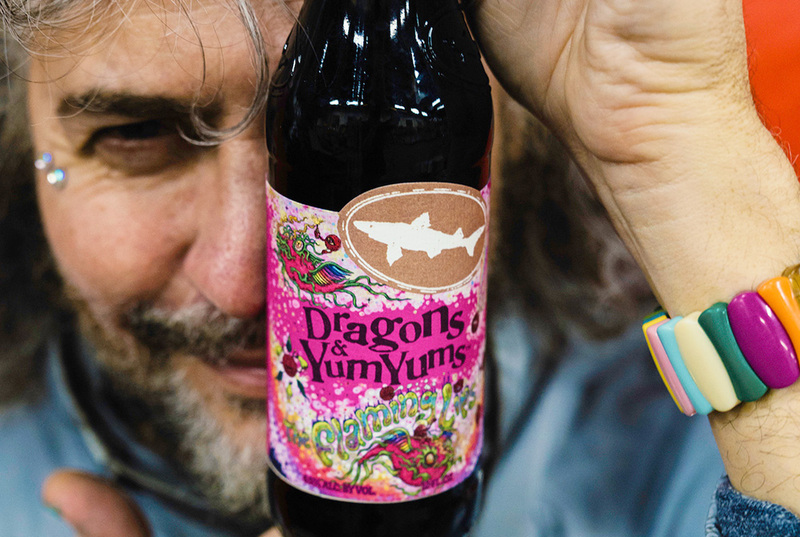 Clocking in at 6.5 percent ABV and 25 IBU, this one-of-its-kind music collaboration inspired Flaming Lips front man Wayne Coyne to write an original song about the beer … making this the first beer with its own theme song. We’ll be pouring Dragons & YumsYums — as well as 120 Minute IPA, Alternative Take #7 Bourbon Barrel-Aged Palo Santo, Romantic Chemistry IPA and a bunch of other Dogfish Head craft beers — from our Western red cedar tap log beginning at 6 p.m.
Every Dogfish Head beer ordered comes with a raffle ticket with a change to win an awesome Dogfish Head turntable, which is on display at Peaks and Pints. In addition, bring in receipts from vinyl purchases during the month of April for an extra chance to win the turntable. 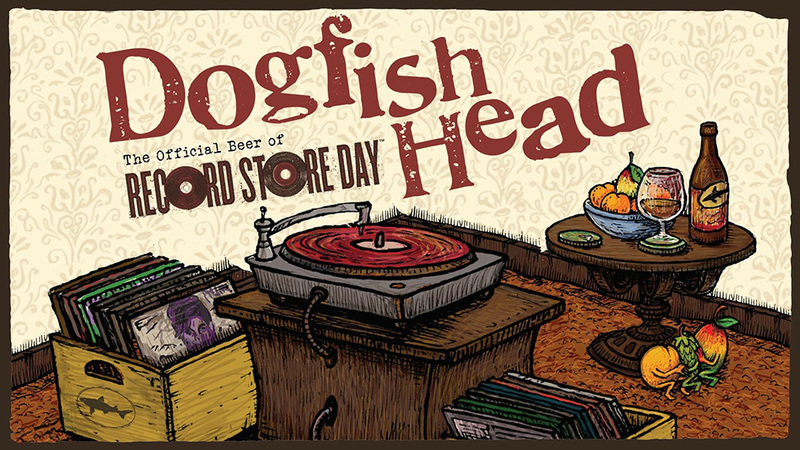 In addition, there will be plenty of Dogfish Head door prizes, including vinyl records, Music To Drink Beer To CDs, free Record Store Day posters and more while supplies last. 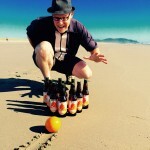 Dogfish Head has also teamed up with Sony Legacy for a record collaboration, called Music To Drink Beer & Make Love To. The vinyl compilation will be released on Record Store Day at retailers across the country, as well as part of the raffle at Peaks and Pints April 19. Expect Flaming Lips tunes all night long.